This is 5.56 Federal / Lake City XM193J 55gr. Full Metal Jacket Ammo on Stripper Clips. This ammo was manufactured by the Lake City Army Ammunition Plant and is headstamped LC 10. 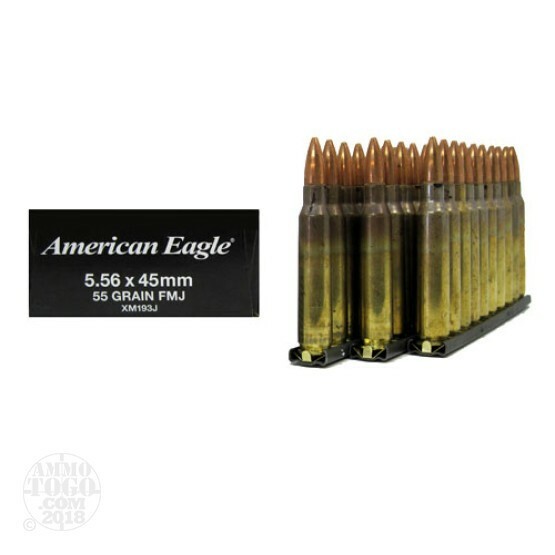 This ammo is manufactured to U.S. Military M-193 Spec's. This ammo is brass cased, boxer primed and 100% non-corrosive. Muzzle velocity of 3165 fps. This ammo is packed on 10rd. USGI stripper clips, 30rds. per box. I have bought this ammo, used it for a long time and i keep getting popped primers. In every two hundred rounds fired i get 3 to 4 popped primers. This does not happen with any other ammo i use, i just buy this ammo because the price is right. I will be buying a little more expensive ammo from now on.